Formed over 5000 years ago, the glacier-created escarpment of the Bruce Peninsula is known for its rugged landscape and unique formations called ‘flower pots’. 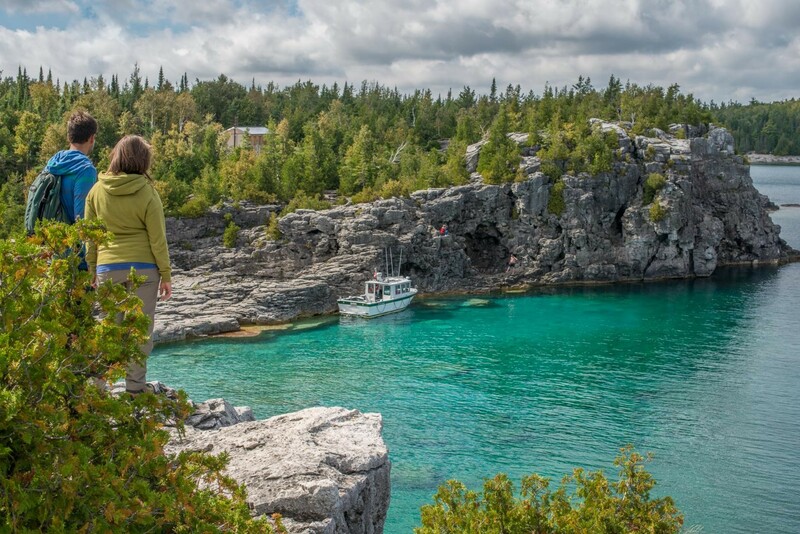 The tip of the peninsula boasts two National Parks: the Bruce Peninsula National Park, and the Fathom Five National Marine Park – the first marine park in Canada. Together, these features attract tourists from all over the world to explore the geological formations, coastal cliffs, shipwrecks, rare plants and migrating birds. Communities along the Bruce Peninsula would like to enhance local waterways to protect this unique ecosystem. The ‘Framework’ has provided support to the Bruce Peninsula Biosphere Association, a non-profit, community-based organization dedicated to achieving a healthy environment. Established in 2000, it became the first community committee to implement the concepts of UNESCO World Biosphere Reserves along the Niagara Escarpment. The Association promotes a healthy, sustainable community with a balance between local sustainable development and conservation. It strives to build local capacity by providing support for research, monitoring, education and information exchange related to local issues. Administered by a volunteer board of directors, the Bruce Peninsula Biosphere Association represents diverse members of the community, including conservationists, business owners, teachers and students and several others. This collaboration among a wide range of community members is the foundation to the Association’s guiding principles, representing all interests in the community to achieve a healthy, vibrant, and sustainable community on the Bruce Peninsula.